At University City Village – Resort Style Living Designed Specifically for Seniors. 745 to 1255 Sq. Ft. Welcome home to Casa Aldea, an apartment community designed specifically for the active lifestyle of individuals 55 years of age and better. This beautiful brand-new apartment homes offers you the convenience of city life with the pleasures of country living. Class and elegance have come together in our community! 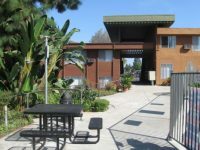 We offer one and two bedroom senior apartments for rent in a variety of floor plans. It’s time to enjoy life, let us help you get there! End your apartment search with our beautiful brand-new senior community. Whether you are still employed or enjoying the retired life, our community offers a lifestyle of quality living accompanied with the opportunity for social interaction and physical activities. Soak in the rejuvenating spa, bask in the sun by our salt water sparkling pool, or grab a book from the library. Join in on a game of cards or billiards with our friends and neighbors in the community center, and catch a movie in our exclusive movie theater. These are just a few of the many reasons why Casa Aldea offers you an exceptional lifestyle. Near Shopping, Restaurants, Medical & More!